Last month online retailer Truffol started sales of its reversible USB Lightning cable, which many suspect could possibly debut with the iPhone 6, or not. Our sample arrived yesterday from Truffol’s shipping facility in Hong Kong. 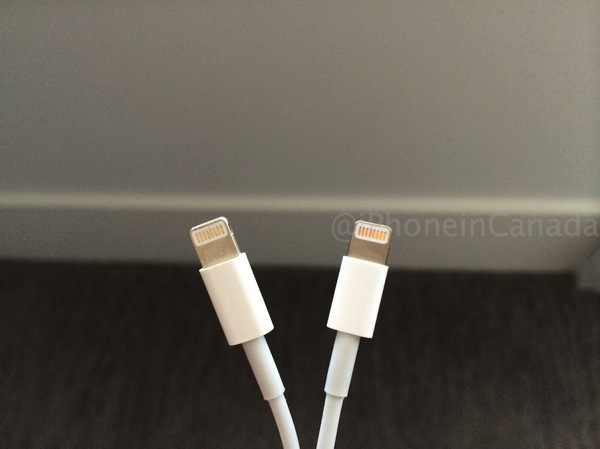 Below are some quick images of the cable (taken with an iPhone 5s) and a short overview of our experience. 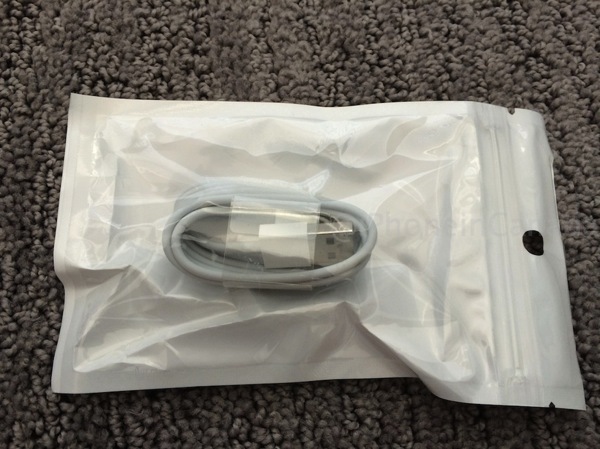 The cable arrives in a simple zip lock packaging and the length is the same as Apple’s official Lightning USB cable. Of course, the difference here is the reversible USB connector, which now eliminates the ‘burden’ of inserting into a port the proper way. This cable from Truffol fit very, very snug into the USB port of my Apple power adapter and MacBook Air. In iOS 7.1.2, I did not receive any warning messages on my iPhone regarding the cable and the device also showed up in iTunes to be synced. Time will tell how long this cable will continue to work. From this image below—can you guess which connector is from Truffol and which one is from Apple? The one of the left is the third party non-MFi certified cable from Truffol, while the one on the right is the real deal from Apple. 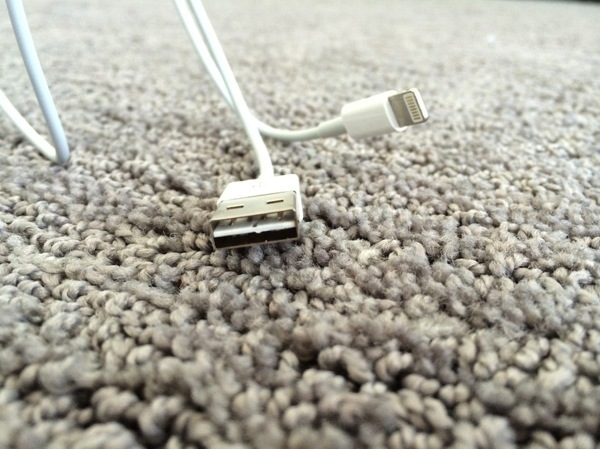 Overall, this reversible USB Lightning cable appeared to work just like Apple’s cable, but the connection to a USB port was quite snug. If you’re interested in showing off a reversible USB Lightning cable at parties and such, you can get one for $9.99 which includes shipping from Truffol here. But of course, these are non-MFi certified so use them at your own risk. 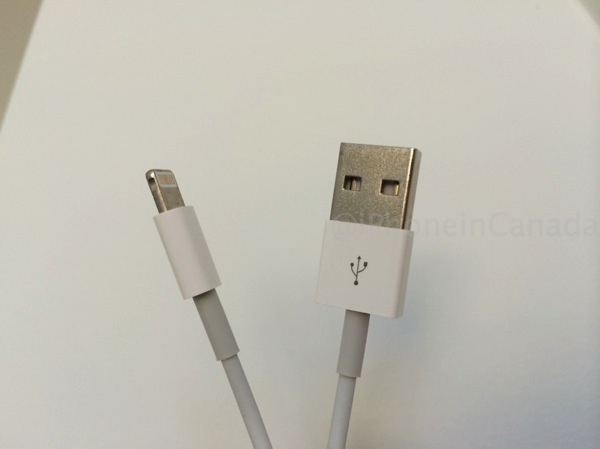 We’ll find out on September 9 at Apple’s media event whether or not this cable is going to debut.